I was taking guitar lessons from another songwriter, Doug Allen, and I shared some of my songs with him. He liked what I had done, so we began to write together. We wrote Dark Dark Place, Rainy Day, Leave Her Want Me and Just You and Me together. Then we went down to Nashville to record the songs. So fun – all the guys were great! It was an honor to work with such great musicians! 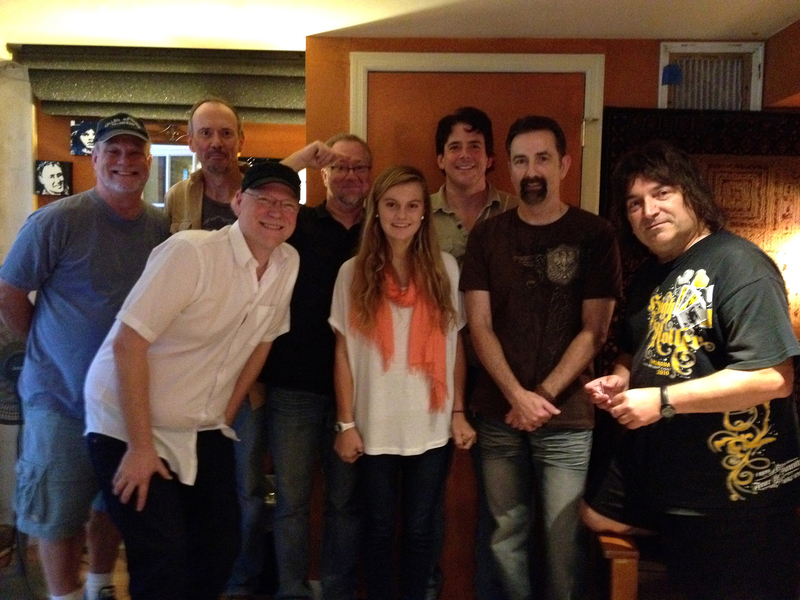 This is all of us in the studio at Sonic Eden Studios: Doug Allen, John Albani, Danny Parks, Brain Fullen, Duncan Mullins, Dennis Wage, and Bobby Terry.